The paper investigates the current attempt of the European Union at “constructing” Europe and Europeans (Shore 2000), by means of its cultural policies. In times of Euroscepticism and “constraining dissensus” (Hooghe and Marks 2009), the politicisation of culture represents a tool to contain the EU’s chronic legitimacy problem (Smismans 2015, Dobson and Weale 2004, Beetham and Lord 1998), by fostering the feeling of a shared European collective identity, based on the principle of “unity in diversity”. The analysis is conducted through the scrutiny of Turkey’s EU candidacy and of recent cultural initiatives that took place in the country under the auspices of European institutions: Istanbul European Capital of Culture 2010 and the activity of Europa Nostra Turkey, the local branch of the pan-European federation for heritage Europa Nostra. The paper looks at the EU enlargement process as a heuristic tool to develop a reflection on the actual state of being of the EU and on the nature of the European political project. Turkey, the eternal Other of Europe (Rumelili 2016), forces European institutions to question the ground on which European integration should be based: economic interests, rights and duties or cultural homogeneity. Should the EU be a problem-solving entity, a rights-based community or a value-based community (Eriksen and Fossum, 2004)? To put it differently: which kind of people is the European people: demos, ethnos or laos (Balibar 2009)? 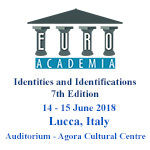 The paper points out how the founding aspiration of the European political project to foster a European demos (Balibar 2009) – namely a civic community of rights (Eriksen and Fossum 2004), beyond dynamics of cultural differentiation – is hardly reflected in the current EU cultural policies, based on an essentialised understanding of the concept of culture and easily challenged by national resistances and rhetorics.